The Day that Christians all over the world know as “Easter”, the day to which Jesus Christ (Yeshuay, Yeshua, Yeshu Christu) rose from the Dead, after being put to death on the Cross, at Calvary, is the cornerstone of the faith. On the Cross, he demonstrated what made Him, Man; and on the day we know as Easter, He demonstrated what made Him the Son of God, and that is resurrecting from the dead. It is important to reflect and study the path to which Jesus Christ (Yeshuay, Yeshu Christu, Yeshua) took while He roamed this earth, and the path He took after His Death. He provided us with the life example that we, as His Followers were meant to take, in order to enter the Eternal Kingdom of God (Devum, Jehovah, Yahweh), through the Divine Laws of Love. The world, which conforms to its ruler’s ways, satan and his demons, want to mislead God’s most beloved creations away from His Eternal Kingdom, for the reason that they themselves will not ever be able to have, what Humanity has the chance of having….being in the very Throne Room of God, and attaining the Eternal Peace that nothing in the Universe can provide. Through pride, self love, self gratification, instant happiness that last for seconds at a time, satan and his demons have mislead humanity into a state of falsehood of prosperity on this earth, the realm to which he controls and manipulates for his purposes, leading his demons into the submission of humanity under his rebellion against God, the Father of Creation, as an act of revenge for kicking him and his demons out of the Eternal Paradise. What Jesus Christ demonstrated through His Life Example, Death on the Cross, and His Resurrection, was a plan that God, the Father of Creation had set into motion, since the time Satan tempted and brought humanity unto his rebellion against Him. Jesus Christ’s Life showed us that no earthly parameter considered as symbols of proserity, riches, or wealth hold any value in the Eyes of God, the Father of Creation. He showed Humanity, that the world’s ways are not inline with those of the Eternal Kingdom of God, the Father of Creation. This is what satan and his demons want Humanity to understand as “blessings” from a Divine Source, because they know the weaknesses and strengths of Man, just as God, the Father does. Afterall, satan was once Lucifer, one of the highest ranking angels. Instead of following God, the Father of Creation’s Divine Laws of Love, he took it upon himself, to lead a rebellion against his creator. Jesus Christ came back to reestablish this order. Humanity needed to see what example they needed to follow, and this is what Jesus Christ demonstrated. It was a life full of suffering (in the earthly sense); a life full of trials; a life devoid of earthly wealth and riches though being a member of the Most High Court; and a life that demonstrates a repentant, humble heart and soul that can not be refuted even by the most wicked and coldest of hearts. In fact evil will portray this meekness in front of God, the Father of Creation, as a weakness and evil in itself because satan and his demons knows the power of such a human nature can do. Just look at how Jesus Christ’s disciples were able to spread His Teachings, and convert so many hearts for the sake of returning Humanity back to God, the Father of Creation. This is why satan and his demons use distraction, illnesses, war, death, revenge, pride to steer humanity off of the path to the Eternal Kingdom. They do not want Humanity to ever know the power that Jesus Christ’s Death on the Cross holds. He was more than a Man that just roamed this earth; He was the Son of God, who came to become the Salvation for Humanity; in order to reestablish the connection between Humanity and God, the Father of Creation. There is one difference between Divinity and Evil, which is what Jesus Christ showed us. Divinity gives you the chose to choose to follow the Divine Laws of Love, even after once dedicating and accepting to follow the path towards the Eternal Kingdom; Evil will force you to follow its ways, to the point of death. However, what we must remember is that through Jesus Christ all of humanity has the chance to come to God, the Father. He said that all will be called, but because of how “difficult in the earthly sense it is, few will be willing to follow, and therefore few will enter”. The sinner, the faithful, the disloyal, and the loyal will have the chance. The most important thing is to put God, and the Divine Laws of Love, first and foremost in your mind, body, and soul so that they will be the driving force. One must understand that the reason for the trials in a soul bound for the Eternal Kingdom of God, is due to becoming a target for satan and his demons. It gets them so angry…vengeful…and even filled with hatred to see a soul that resists them, and denies them. So they will try anything to jade them, and throw them off of the path towards the Eternal Kingdom. Jesus Christ, showed us that we are to follow the ways of the Eternal Kingdom, even to the point of earthly death to the Human Body, because that is the extent to which evil will go to take you off the path, which is what satan tried to do to Jesus Christ while He roamed the Earth. The Resurrection of Jesus Christ (Yeshu Christu, Yeshuay, Yeshua)showed us, and even satan and his demons that death to the earthly body does not hold back the souls that are bound to the Path to the Eternal Kingdom, hold back those who are God’s Children, and that His Divine Laws of Love will prevail. That satan’s shackles were taken off of those of Humanity that denied his deception. Jesus Christ, through His Resurrection, showed Humanity that they will not die if they follow His Ways that conform to the Divine Laws of Love, ways of Selfless Unconditional Love, Mercy, and Forgiveness. When Jesus Christ said that His is the Way, and only through Him, can we enter the Eternal Kingdom of God, this is what I have understood. If we truly understood what His Life represented, then we will understand what greatness God, the Father of Creation created for Humanity to to be; and conform to the Divine Laws of Love. This is what His Disciples demonstrated through their own lives. They believed in the Divine Laws of Love so much, that they were killed while spreading and defending them. This is what is expected of all those bound to the Eternal Kingdom of God, to endure to the point of death. Repent from the sinful human nature, because God’s Divine Laws of Love require this. God, the Father of Creation expects us to fall, but with His Strength, He expects us to come back to Him. Jesus Christ showed us as the Son of God, that He roamed on this earth, and knows the trials that we undergo as Humanity, because He, Himself went through them. He showed us how we can overcome them, and still be return back to the Eternal Throne Room promised to Humanity. SO ENDURE MY BROTHERS AND SISTERS IN JESUS CHRIST. DO NOT LET EVIL DISTRACT YOU WITH THE EARTHLY RICHES AND PROSPERITY, BECAUSE THAT IS NOT IN ACCORDANCE TO GOD’S ETERNAL KINGDOM. FOR THOSE “CONSIDERED FIRST ON THIS EARTH WILL BE CONSIDERED LAST IN GOD’S ETERNAL KINGDOM”. This entry was posted in Thoughts and tagged Battling Evil, Devum, discernment, Divinity of Jesus Christ, Divinity professes selfless love, enduring trials, Evil professes Self Love, Fight over souls (good vs. evil), God's Love, God's ways are permanent, Good vs. Evil, Guidance of the Life Teachings of Jesus Christ, Jehovah, Jesus Christ the Ultimate Symbol of Unconditonal Love, Jesus Christ's Blood Covering of Protection, Jesus Christ's Crucifixion, Jesus Christ's Passion, Path to Truth, Persecution, Satan's deception, SELF LOVE vs. SELFLESS LOVE, Spiritual Journey, Steadfast Faith, Take up your Cross, Trials and Tribulations, Unconditional Love, Yahweh, Yeshu Christu, Yeshua, Yeshuay on April 1, 2018 by foodforthespiritualsoul. The thing that Satan and his demons fear most is God’s People remaining in groups and numbers. They know that when they are together, there is power in their fellowship and communion. As a result, evil will try to separate God’s People so that they will not know or even forget the strength that God has given through the Blood Covering provided by Jesus Christ. In fact, they will try to make you feel guilty for the fellowship and the communion. However, God’s People always know that in heart, mind, body, and soul, God’s People will never be separated, despite the earthly distance or circumstance. All it takes is the prayers of one of God’s People to pray over that of another. Evil will try every tactic in trying to break up the unity within the Body of Christ. 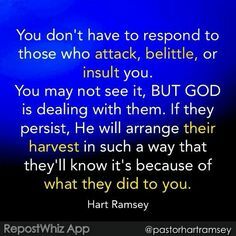 This may involve mimicking being a member of the Body of Christ, or even other deceiving tactics, such as pointing out a fault or an injustice that they have committed, that they will make you feel guilty for the wrong in calling them out. This is where the guidance of the Holy Spirit is what separates those that are bound towards the Eternal Kingdom, and those that are not.The Holy Spirit guides those that God, the Father of Creation (Jehovah, Yahweh, Devum) has found worthy ground for It to dwell. It is a soul that is constantly repenting, and a soul that recognizes the Blood Covering that Jesus Christ (Yeshu Christu, Yeshuay, Yeshua) provided at the Cross, on Calvary, and lives by the teaching that His Son left while He roamed this earth. We must always be mindful and in constant prayer; this is our direct communication with the Father of Creation. Once we directly tap into the direct link that Jesus Christ reestablish with God, the Father; Evil will try everything possible to distract one of God’s Children from tapping into this spiritual weapon that Jesus Christ equipped us with, upon His Death on the Cross. Those who may seem weak in the earthly sense, are God’s Spiritual Warriors in the spiritual sense. The strength the Holy Spirit provides God’s Children with, can not be comprehended by evil or those that are bound by it. So continuously fellowship with God, Jesus Christ, and the Holy Spirit….and you will not be swayed by the ways of the evil one and his demons. The Holy Spirit will help you to discern the deception of Evil…and guide you to the ways of God, the Father’s Eternal Kingdom, and invite you to sit in His Very Throne Room. This entry was posted in Thoughts and tagged Armor of God, Battling Evil, Blood Covering of Jesus Christ, Christianity, Devum, discernment, enduring trials, Fight over souls (good vs. evil), God's Love, God's ways are permanent, God's Wrath, Guidance of Holy Spirit, Guidance of the Life Teachings of Jesus Christ, Jehovah, Jesus Christ, Jesus Christ the Ultimate Symbol of Unconditonal Love, Jesus Christ's Blood Covering of Protection, Leading of the Holy Spirit, Listen for God's Call, Overcoming Trials through the Holy Spirit=God's Divine Tools for Ministry, Path to Truth, Satan's deception, Self Refinement, Spiritual Battles, The Blood Covering of Jesus Christ, Trials and Tribulations, Yahweh, Yeshu Christu, Yeshua, Yeshuay on July 4, 2017 by foodforthespiritualsoul.